IT's time for a get together people! Pointe Coupee Here. I'm new to this Jeep thing, but loving it so far. 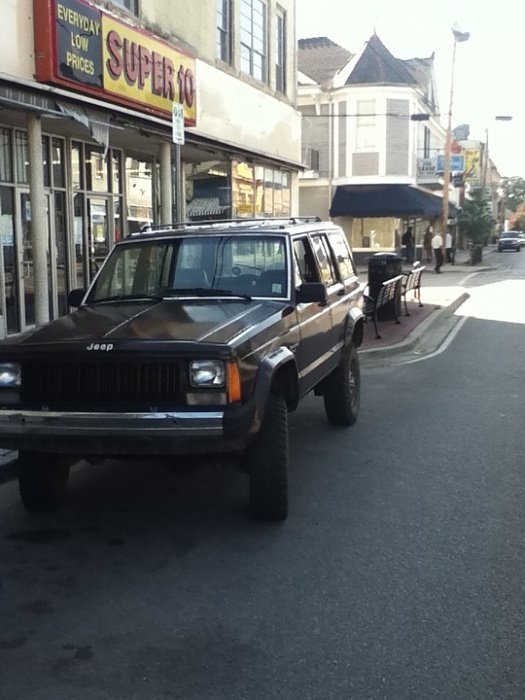 Just about to get my XJ back on the road after some mods and I'm thinking of a wheeling adventure in the next couple of weeks, possibly the weekend of the 20th and 21st. Anybody wanna go? I'm thinking of going to the area just north of BR where they held the Jeep Jamboree this year? (name of that place eludes me at the moment). But I'm up for anywhere within 2 hours of New Orleans. Get in touch with me if interested! I need to have a lift kit installed, can anyone recommend a shop in central LA? Hey! I'm uptown too! Meeting up with another CF user today, you should holler at us! SW LA here. I do my driving all along I10. Live in Jennings, work in Iowa, and travel through sulphur, Lake Charles, Lafayette, Baton Rouge areas regularly. Currently just a DD jeep (green 97 ZJ stocker) but I got another Z in the works. Setting up a 231 swap.